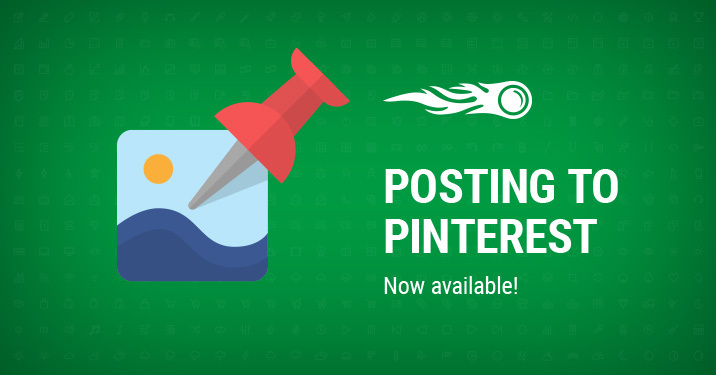 Posting to Pinterest is Now Available! Finally, we’ve got it covered! You can now schedule, post and draft your content to all your Pinterest profiles at once in the Social Media Poster. 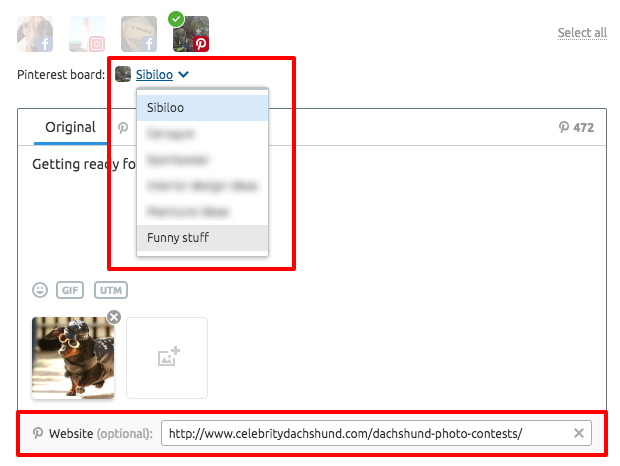 Once you connect your Pinterest account, the tool will automatically find your boards, so when you post, you’ll be able to choose the one you’d like to post to in the dropdown menu. Just like with other social networks, you will be able to post your content immediately, schedule it for later, or save it as a draft. Hopefully, you will enjoy this small addition to your posting routine! Schedule your first Pinterest post!